While Valentine’s Day is what I think of in February, spring has been on the move. There were record-breaking high temperatures and heavy rainfall that threatened flooding . We watched the news and watched the waters rise. We prayed for peace and prayed for neighbors who were severely affected. We renewed our trust in a God who controls wind and wave, heat and cold, rain and sunshine. The birds started singing in the early mornings this month and my daffodils began to bloom today. I anticipate spring with joy. In the morning I open the window where I sit with coffee and Scripture, listening for the first chirp, and soon the sound of other birds echo in our little woods. Rabbits are hoping in the yard again. Which means Maisie will want to chase them again. The geese on the lake across our road are pairing up. There’s a lot of honking and posturing among the males. I spied a couple of blue birds flitting about the bird house in the back yard. It’s nesting time. I savour the sights and sounds of the coming season. I heard the cranes flying overhead twice in February. It is always a surprise gift to be outdoors at just the right time. When I hear their call, I stop what I’m doing, and scan the sky for the flock overhead. It’s one of those sounds that makes me smile and takes me back to a Sunday afternoon when the grandchildren were small and living in the house next door. The three of them were with Sweet William and me for a few hours that day, and it was warm enough to be outside. We heard an unfamiliar noise overhead and began to look for its source. On that day years ago, there were hundreds of crane flying so high we could barely see them. But we heard them. Flocks of them flew over and we watched and listened. It was one of those moments of discovery imprinted on my mind. I am pursuing depth this year and a book by Cal Newport fell into my hands in February. I don’t always pick a word for a year but this time I chose “Deeper.” At times I’ve felt like I had mile-wide commitments with inch-deep results. I’ve lived busy for many years. Now I want to live deep in many areas of my life. It was easy, then, for me to latch onto Newport’s book from the library called Deep Work. He offers an intriguing proposition that we are a distracted culture, multi-tasking, constantly online and connected via smart phones, attached to our social media accounts, and in many ways alway available to most everyone on our friend list. I am evaluating how I spend my days, how often I check my laptop for posts and messages when it really is not time-sensitive. I’ve tried to make changes in the way I use technology in February so that technology does not control me. It should be a tool I use, not one that directs my day. I also read a book of poetry, A Garden in Kentucky by Jane Gentry. Gentry’s poems were lovely and I enjoyed her way of writing about her home state and mine. I’m not the biggest fan of poetry though I would like to be. I have often found it hard to understand. Perhaps I can blame it on my high school experience when we were forced to read an epic poem, Evangeline, which was long and made no sense to me at all. My creative juices flowed freely this month. My cousin and I took an introductory weaving class at the library, making a simple loom from a piece of cardboard. I learned the basics, then took my project home to finish into something quite pleasing. I visited the Paint Spot for the very first time. Actually it was a Christmas gift from a friend who decided that giving me a shared experience was better than another scarf. And she was so right. I relaxed while I painted my coffee cup, and it was twice as nice with my friend. This month, I decided I feel better when I change into real clothes even on the days when I don’t have to go anywhere. One of the perks of being part-time retired is that I can stay in my pajamas all day if I want. And some days I have. But I feel better prepared for the day if I put on decent clothes, wash my face, add a little mascara, and comb the bed head out of my hair. I’m not sure if I am more productive or not. That remains to be seen. I finally had time to get acquainted with the newest neighbor on our quiet lane. The couple moved in before Christmas and we briefly met, but cold weather and short days kept us all indoors. As the days warmed and lengthened in February, it was the right time for coffee and muffins. My neighbor who lives in the house next door joined us at the table, and the two young women found common ground as they chatted. It was lovely to behold. Sweet William and I visited my friend at her farm in the next county. She has created a beautiful home, and we find the miles to get there worth the trip. She fixed us eggs from her own chickens, gave us carrots to feed the horses, and showed us her latest projects. We stayed so long that she brought out lunch meat for sandwiches. And we ate again. I gathered with a group of beautiful women early in the month for Table Life, the first of four sessions, where we are learning to do life at the table with the awareness that Jesus wants to be there with us. It coordinates beautifully with my “Deeper” work of building relationships, of savoring the moments with dear friends and family, of investing in lives and eternity rather than in things that fade quickly. Jesus left us an example of spending time with people over a meal, demonstrating to us that the table is important. I am finding that amazing things happen when I take time to sit awhile, pour another cup of coffee, eat a muffin or scrambled eggs, and enjoy the fellowship of one another. We are able to share our lives with one another and listen to what the heart is saying. Love happens at the table and Christ is in our midst. Valentine’s Day 2018 may be a memory, but February makes me think about love like November reminds me to be thankful. If it could only last longer than a month, I’d be a better person. Sweet William and I celebrated Valentine’s Day a couple days before the event. We knew the 14th would be filled with appointments and obligations. We’ve been together long enough to know a number on the calendar is not as important as what is in our hearts. On the morning of the 14th I woke with thoughts of love on my mind. 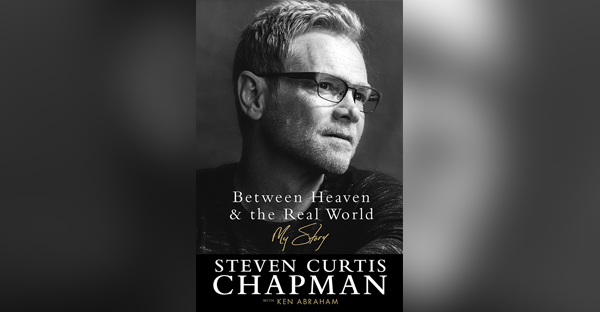 I put Steven Curtis Chapman’s All About Love on the CD player and hummed familiar tunes as I prepared whole grain pancakes with bananas for our breakfast. I sent messages to my precious ones who are miles away, the texts a meager substitute for the hugs I want to give them on Valentine’s Day. But it was what I had to give. I received a quick loving response from our son that made me cry. His words were like sweet oil on my heart, soothing and tender. In a minute or so “I Will Be Here” began to play, a song that means a lot to Sweet William and me, the musical message of commitment that weathers storms and holds fast, no matter what. And I cried some more. As I stood at the back door looking out the window while tears fell freely, I thanked God for His love that makes our love possible. For love is from God. If we would see God, we should look for love where it flows freely from hearts who know love, who have been loved and have learned to give love in return. I think how God’s love has covered a multitude of sins, the ones that would have drowned me and sucked the life from my lungs. Because of His love, grace has taught me to love and forgive others, those sins covered as well. I stagger at something so amazing and struggle to grasp its enormity. It is easy for me to see God in the world that often denies His existence. I look for love where it is being acted out. It isn’t just the romantic kind that made my stomach flutter at a glimpse of my special someone, though that love has a place. Love shines brightly when it is hard to walk out, when it is an act of will that requires all we have to give. I see it in the mother who prays and belives for a prodigal to return. In the father who takes care of and provides for his family by working a job he dislikes. In the adult child who gives patient and tender care to an aging and sometimes forgetful parent. In the spouse who lives the promise of for better or worse. In the couple who leave all that is familiar to show Jesus to the world. In the family who opens their home to a troubled teen. Love is from God. He gives it to us lavishly through Jesus Christ, holding nothing back, like a rushing river flowing out of its banks. As I stand in His presence and refresh myself with a deep drink of it, I know I am loved. It’s only through Him I am able to love in return. This love, this day is a moment made for worshipping. Culture will try to tell us what to think and how to act. The media, in all its various venues, formulates ideas they want us to accept. If they say it often enough, we tend to believe it is true, especially if it is on the internet. How does that relate to Valentine’s Day? We are told the day is for lovers and sweethearts, couples and spouses. We must buy things, like candy and cards. Spend money on jewelry and flowers. If you are not currently in a relationship, or your sweetie forgets you, or you don’t get something costly, well you just must not be loved. Please, don’t believe that lie. Love is from God. It is His essence, who He is. Anything good in this world, any smidgen of kindness, any beauty, any joy comes from the Creator of good and perfect gifts who first initiated love. His love is displayed in the warm sun, the air I breathe, the faces of my children and grandchildren. His love is in my Sweet William’s embrace, in the smile of a friend, and in the strength to take care of another. God’s love is shown by strangers who let me in the line of traffic, by the customer service person who helps me resolve a problem, by my neighbor telling me she is just a phone call away. God shows His love for me by showering me with grace all day long, gifts like a good cup of coffee, a gorgeous sunrise, finding our Maisie who was lost, and a phone conversation that encourages. But the very most extravagant love God ever demonstrated was the life of His Son to a world that did not recognize Him, did not welcome Him, did not love Him back. The greatness of His love was manifest in this fact: He loved us when we were unlovable, unfaithful, unholy. He loved first. Any good in this world is because He gave love. He lavished it on the ones made in His likeness, the very ones who turn their back on Him and use His name to curse. The ones who don’t believe. The ones who choose their own determined way instead of running to His beckoning arms of forgiveness and mercy. Stories and legends abound about the man named Valentine, how he was kind and loving, and so we celebrate him with a special day. We call him a saint. We are enticed to spend money in his honor. Sorry, it’s just not about that. Love is serving, giving of oneself, sacrificing our own wants for someone else. Love forgives and doesn’t hold grudges. Love does not get offended easily. Love is patient and kind, not jealous or prideful. 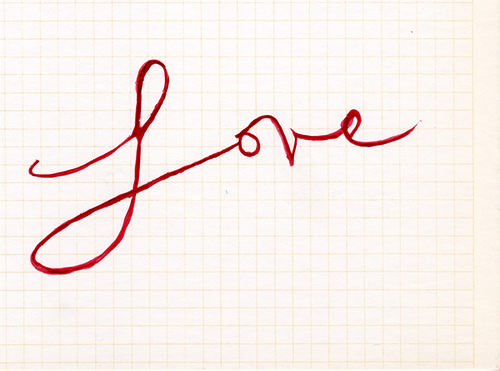 Love causes us to consider another first and act in loving ways, no matter what. Love longs for truth and doing the right thing. Love bears up under the hardest of circumstances, continues to believe God is good, and trusts Him for power to keep on going in the grace that strengthens. Love does not end. Not when divorce divides. Not when loved ones die. Not when words wound. Not when distance or misunderstanding or unresolved conflict separates. Love keeps giving, keeps restoring, keeps healing, keeps seeking. Because God is love. And love comes from God. And nothing, absolutely nothing can separate me from His love. This love is worth remembering and celebrating on a day in February and every other day of the year. The origin of the word February is surprising to me. I’ve always simply thought of it as the month of love. With the advent of Valentines Day, merchants discovered another way to entice us to spend money, reds and pinks showing up in stores early last month. Cards to honor the day of hearts and flowers flood the isles, and TV commercials encourage us to make diamonds the proof of undying affection. But what if . . . what if we really did practice a little more love during February? Not the gushy, mushy vaporous emotions or the once-a-year expensive gifts that last but a little while before they are forgotten and we move on to other “more important” endeavors. 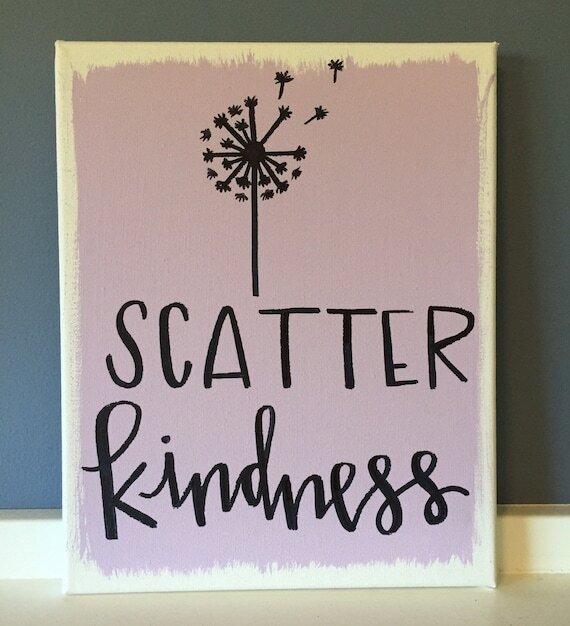 What if we tried scattering a little more kindness this month, without it turning into a spending spree or a guilt trip? What if we gave out of the abundance of our hearts, out of the grace we have been given? We take on the character of God when we become givers. God gave. God gives. God will give eternally. 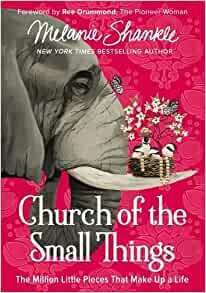 Chapter 5 of Ann’s new book, a gift from a friend, ignites something this morning as I read about her and her children leaving unexpected gifts all over the city, creating smiles and joy in their wake. One of the dots on my Bucket List is “Always be kind.” I wish that just writing that down and marking it a priority made it always be true in my every day. It isn’t. I need a reminder. Often. So I am challenging myself to Scatter Kindness in February, to find unusual and unexpected ways of giving to others out of my own abundance. Thoughts, ideas already drift in my head. I would gladly bring a few more smiles to the faces I encounter regularly and those who just happen along my pathway. This month, February, I will make it my goal to Scatter Kindness, to Sweet William first for his is the face I see most often and the one I can so easily take for granted. I will endeavor to Scatter Kindness to those I know and to those I don’t, to the ones in my circle of influence and to those I may pass only once in this life. It will be challenging because I am too often self-centered. Perhaps the focus on others will alleviate my struggle for a while. At least for the next 28 days. And like the dandelion fluff I’ve scattered with my breath on scores of summer days, perhaps one seed will take root in another heart. Perhaps Scattering Kindness will grow and flourish in someone else. February could turn into a bountiful opportunity to show God’s love through small acts of kindness. There is the chance it could change me and my little corner of the world. God is love. Not that God loves, an action, but that love is His essence. He embodies love. When He moves, creates, judges, offers grace, it is Him being true to His nature. When we move, create, judge it is more often out of selfish interest. Our concern for ourselves motivates us too much. When we give grace, we imitate the God who is love. Give grace today. Give grace to those who look different, who think differently, who act in a way different from us. Give grace to those who offend and hurt us with their words and actions. God will judge rightly. Give grace to yourself when you mess up for the umpteenth time. Accept the grace given by God, the forgiveness He offers that covers a multitude of sins. Don’t keep carrying that dead weight around. The cross testifies to the love of God, the essence of God, that He loves us so much He was willing to die and take our punishment rather than live without us. Oh the wonder of love. The wonder of God. I’m listening to Adele on a DVD from my public library’s collection. Believe it or not it’s my first time to hear Adele. I know! Where have I been? She takes my thoughts to Valentine’s Day with all the songs about love. Unrequited love. Disappointed love. Love gone wrong. Love that came and then went. Makes one wonder, is there really a love that lasts? While there are couples who have stayed together to celebrate 50, 60, even 70 years of marriage, how many have gone by the wayside? Too many. In a perfect world, we would all love with a pure love, without expectations, simply loving for the sake of love. And wouldn’t the world be a better place? But we don’t live in a perfect world. When Jesus was asked about the greatest commandment – and there were so many the Jewish people were concerned with following – there were only two He mentioned. The first and most important one is this,” Jesus replied—‘Hear, O Israel, the Lord our God, the Lord is one. And you shall love the Lord your God with all your heart, with all your mind, and with all your strength’. The second is this, ‘You shall love your neighbor as yourself’. No other commandment is greater than these. Everything else hinges on these two commands. Love God. Love others. What if we asked God for the power, the ability to do that? What if everything we did was first measured by “what would love do?” What if this kind of love changed our hearts and made us different in every way? Jesus beautifully did exactly that. He loved God perfectly, and He loved others perfectly. And the world killed Him for it. But the power of love is greater than death. He proved it to us. He lives and loves still. While I am in my lenten season of being present in the moment, I hope I can focus on loving better. Loving like Jesus is a high calling, more than celebrating Valentine’s Day or the wedding anniversary each year. It’s not something I can do naturally because I’m too self centered. It will require a heart transplant. His heart in me. It’s the only way to love. The only way to really live.